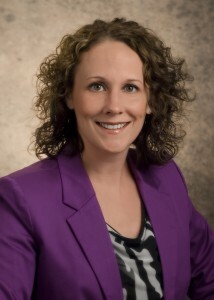 This fall, Jamie Cox began a term as a vice-chair of the Missouri Bar’s Administrative Law Committee. The Committee convened on November 21, 2014 during the Bar’s fall committee meetings in Jefferson City. In addition to its general business agenda, the Committee presented continuing education programs on legal research of administrative law issues and a case law update. Jamie Cox has a general administrative law practice. She is a former Assistant Attorney General and routinely handles matters before the Administrative Hearing Commission and various professional licensing boards, including the State Board of Nursing, State Board of Pharmacy, Missouri Dental Board, Missouri Real Estate Appraisers Commission, Committee for Professional Counselors, Committee for Social Workers, and State Committee of Psychologists. She also represents clients in judicial review of agency decisions before the circuit courts and courts of appeals.In her practice, Jamie has handled cases pending before the State Board of Education, the Missouri Ethics Commission, the Missouri Gaming Commission, the Missouri Department of Health and Senior Services, and the Missouri Department of Mental Health, and she has also assisted in cases pending before the State Board of Registration for the Healings Arts, the Bureau of Narcotics and Dangerous Drugs, and the Division of Alcohol and Tobacco Control.